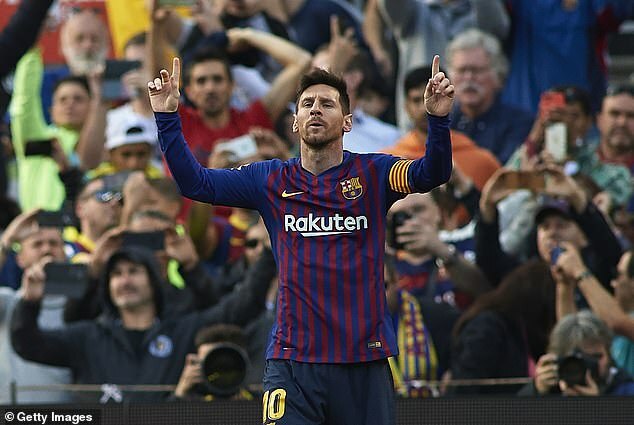 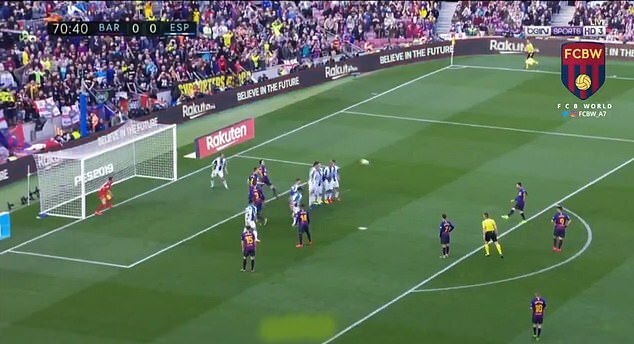 Lionel Messi scored a remarkable 'Panenka free-kick' during Barcelona's derby win over Espanyol on Saturday - but it turns out this isn't the first time he's pulled off the stunning set-piece technique. 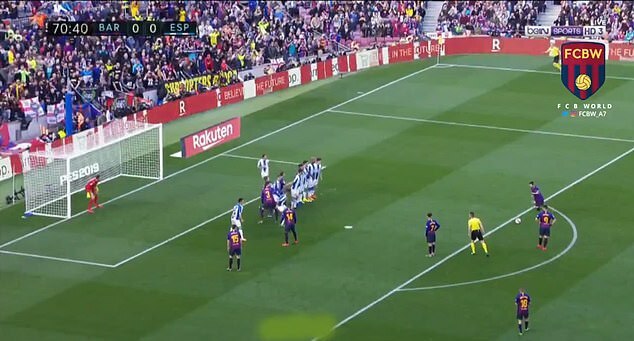 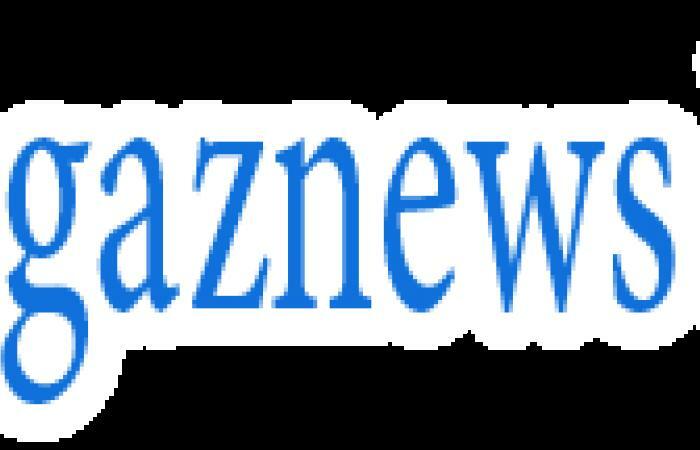 A video has resurfaced showing Messi dinking the ball over the wall from the edge of the penalty area against Almeria as a 22-year-old in 2010. 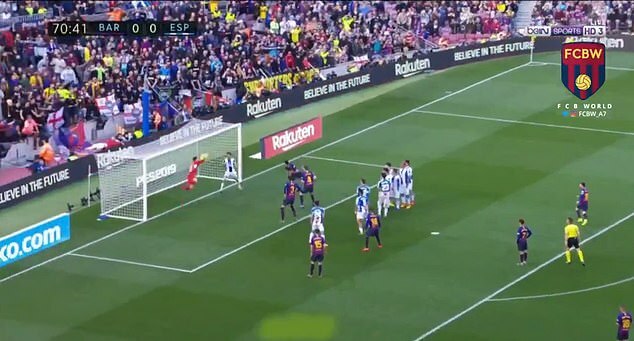 The goal was strikingly similar to Barcelona's opening goal on Saturday, which helped pull the Spanish league leaders to victory.